Dr. Miller is a Distinguished Graduate of the United States Air Force Academy and the Uniformed Services University of the Health Sciences. He is a retired Air Force Colonel and an accomplished academic orthopaedic surgeon. 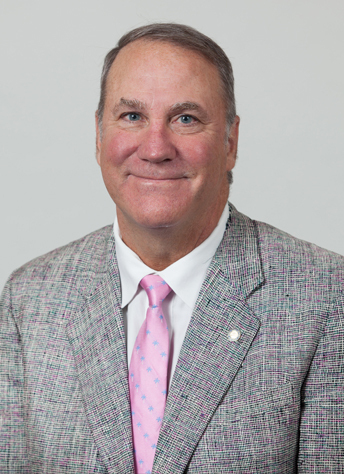 He is the S. Ward Casscells Professor of Orthopaedic Surgery at the University of Virginia and served as a team physician at James Madison University for 15 years. He has authored over 200 peer reviewed articles and 35 textbooks, including the best-selling text, Review of Orthopaedics, now in its Seventh Edition; and served for ten years as the Deputy Editor for Sports Medicine for The Journal of Bone and Joint Surgery. He is currently the Board Secretary for the American Orthopaedic Society for Sports Medicine (AOSSM) and is an award winning surgeon-educator. Dr. Miller, a highly sought after speaker, is an internationally renowned expert in orthopaedic sports medicine. His practice focuses primarily on knee and shoulder arthroscopy and complex reconstructions. Board Certified in Orthopaedic Surgery by the American Board of Orthopaedic Surgery through 2015 Sports Medicine through 2017, Virginia. Articles written concerning work performed with James Madison University athletes.National Orthopaedic and Sports Medicine Magazines for academic achievement.